ENVELOPE : Red Color 250gsm Shimmery Finish Paper, With Gold Color Printing. MAIN CARD : Red Color 250gsm Shimmery Finish Paper With Self Color Texture Printing. Main Card Has Golden Texture Belt Wrapped To It Underneath It has the Initials Printed. 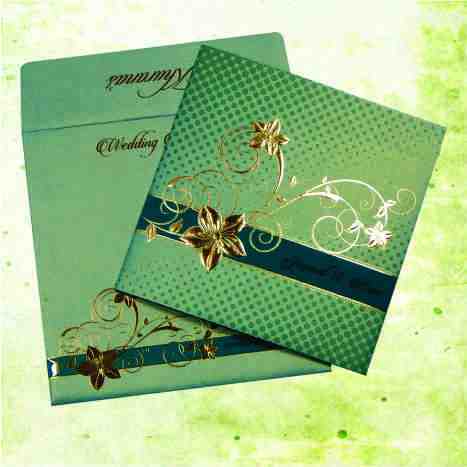 CUSTOMIZATION : This Card Can Be Customized with Motif/Symbol/Initials or In term of Paper Color Or Design.